Please enjoy these handy amp building cheat sheets. 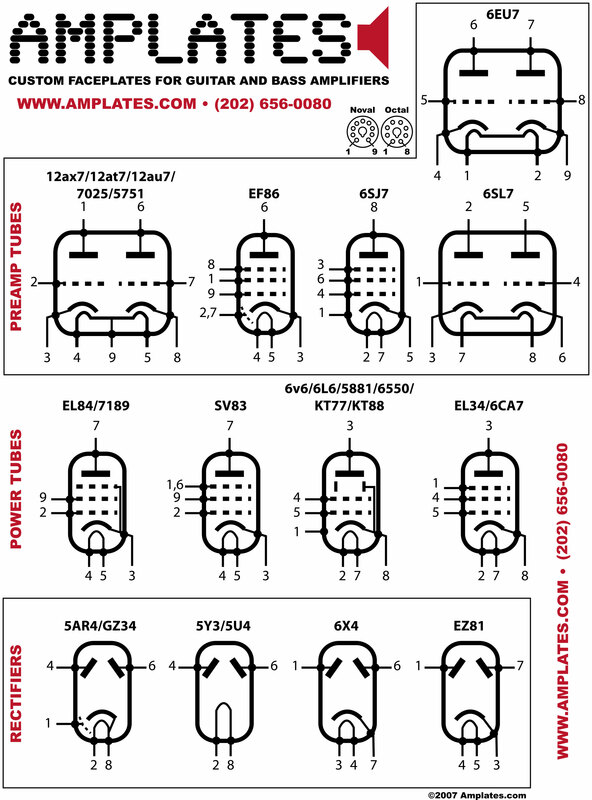 The first is a pinout guide of all the most popular tubes used in guitar amps, and the second is a quick conversion guide to switch between uF, nF, and pF easily! 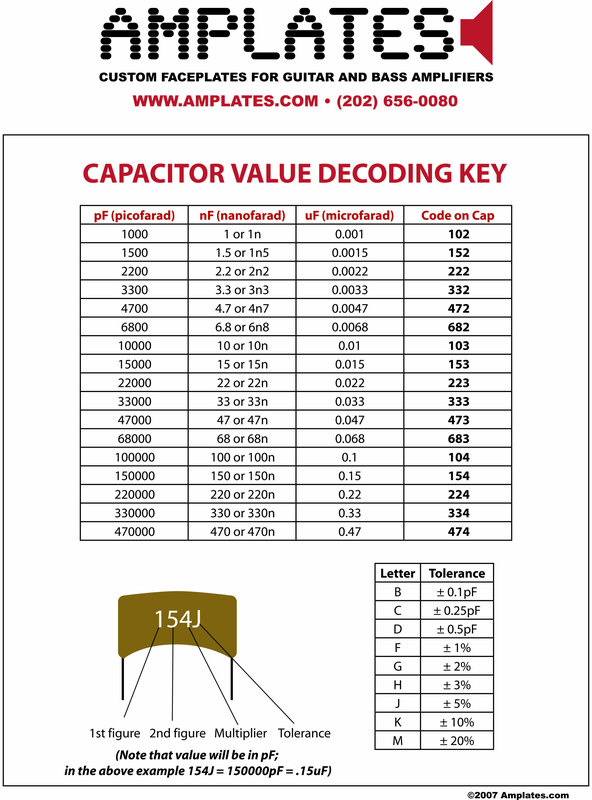 Print them out and hang them on your shop wall so you will never have to look up pinouts or cap conversions ever again!